First Company to Offer a 2-Year Warranty Against Fork Lift Damage. First To Implement Project Management Teams To Ensure Project Completed on Time and Within Budget. 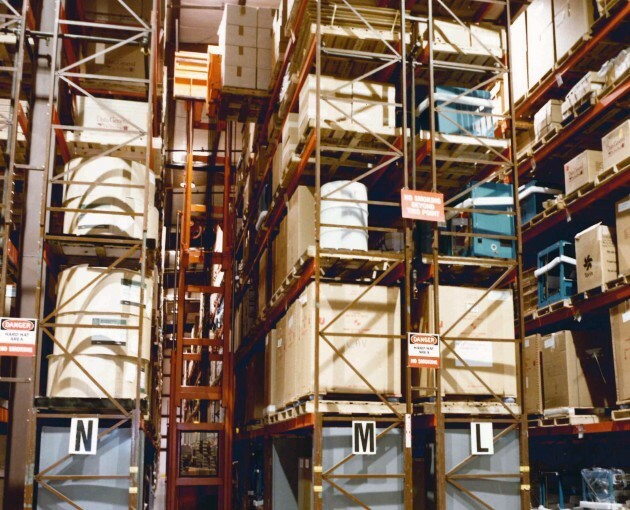 Sentinel Storage Racks established FRAZIER as the world’s leading manufacturer of structural storage systems. 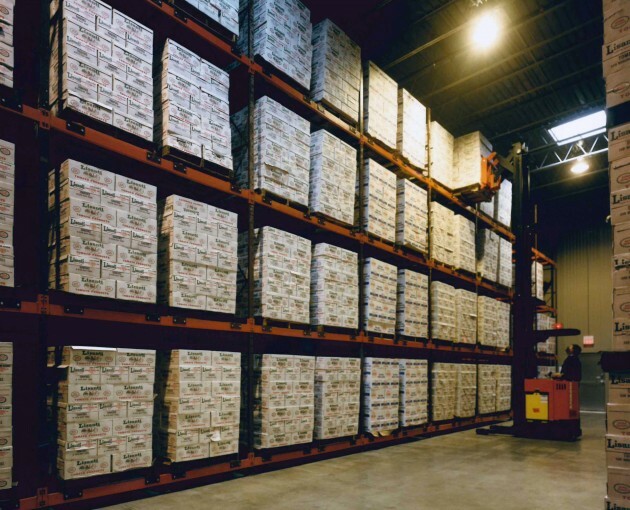 Whether stock or pallet, a Sentinel rack gives you all the strengths associated with structural steel construction. Sentinel racks are easy to assemble and can expand to fit your growing needs. For a fast and easy solution to your immediate storage problems, choose the FRAZIER Sentinel Stock Rack. The same quality standards of custom rack systems are adhered to on the design, manufacture and installation of Sentinel Stock Rack. To maximize density in your existing space, look no further than FRAZIER’s Drive In / Drive Through. Structural steel and the innovative “Space-Saver Arm” design provide you with the adjustability, durability and safety that your Drive-In applications require. FRAZIER is the leader in custom rack-supported construction. 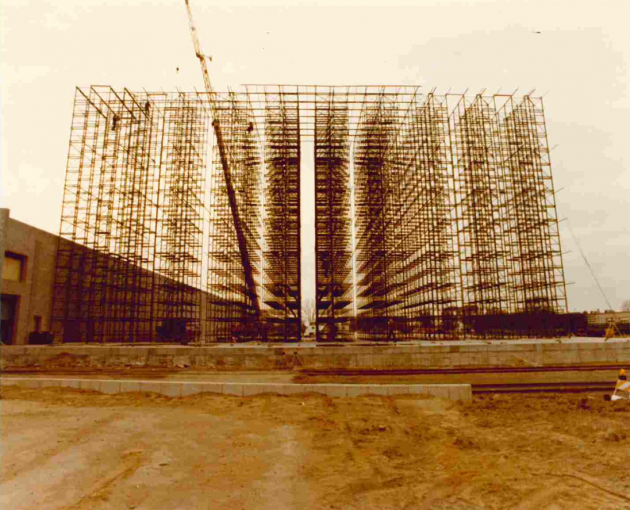 Our record in designing, engineering and construction is unmatched in the industry. From conception to completion, FRAZIER will be by your side to ensure total integration of systems and site specifics. Our talented team of design, engineering, construction and material handling experts will utilize best practice techniques and equipment to solve any of your application or site challenges. FRAZIER’s Dura-Lock rack is the only structural “tear-drop” rack that can retrofit any system now in use. 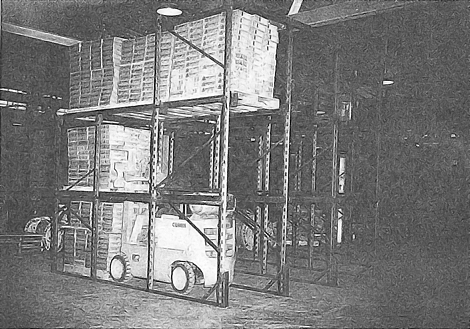 Combining the high density of Drive-In and the selectivity of single deep rack, Glide-In “Push-Back” storage is FRAZIER’s patented system of enveloping wheeled carts that glide on sloping rails. 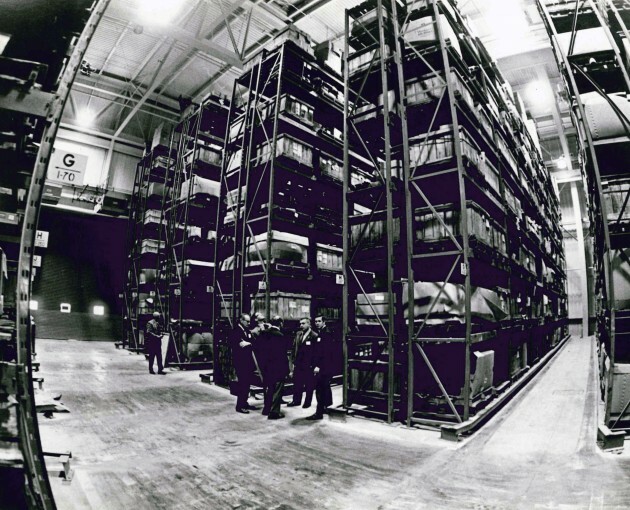 When unloading a pallet, each subsequent pallet gravity feeds forward to the front for removal. Made from 100% structural steel, the Glide-In “Push-Back” system features carts that carry loads parallel to the floor. For productivity, selectivity, density and economy, FRAZIER’s Glide-In “Push-Back” dominates the industry. Infinitely adjustable arms make FRAZIER’s Klamp/Fast uniquely flexible for storing your flat, long or hard-to-handle items. 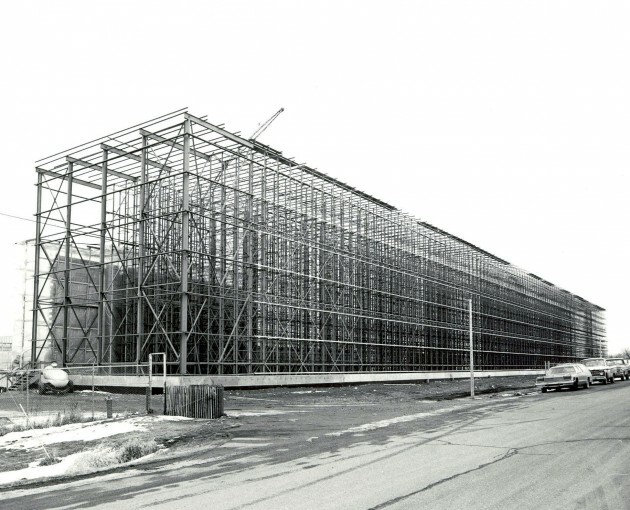 For the ultimate in warehousing and storage, look towards FRAZIER’s pre-engineered rack-supported buildings. 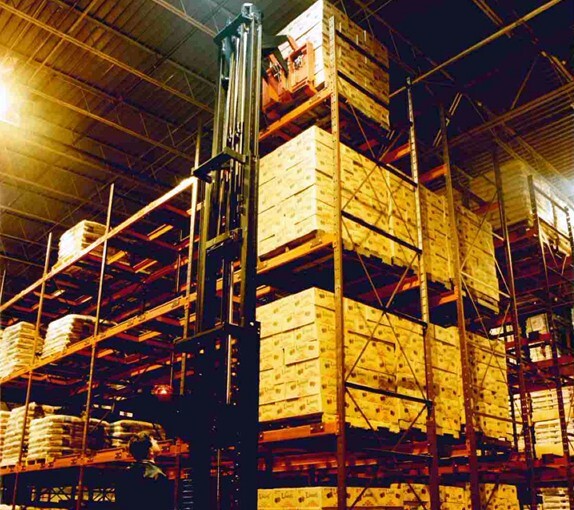 Our buildings are designed to accommodate the type of fork truck that best suits your daily operations. 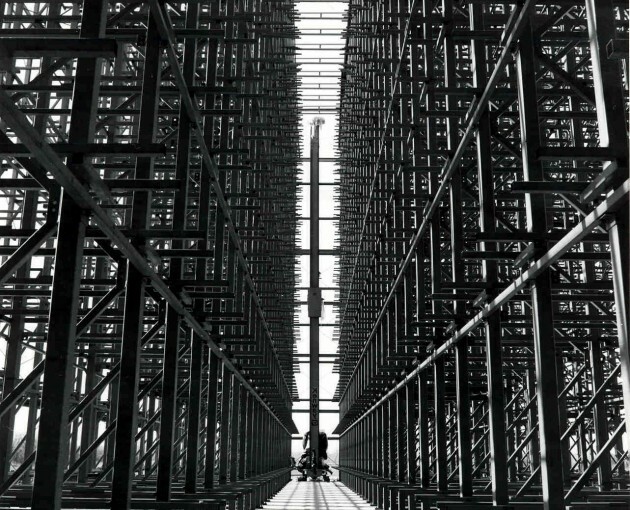 Whether you rely on reach, deep reach, hybrid stacker or turret, you’ll find our Pre-Engineered Solutions are built to support your specific need. 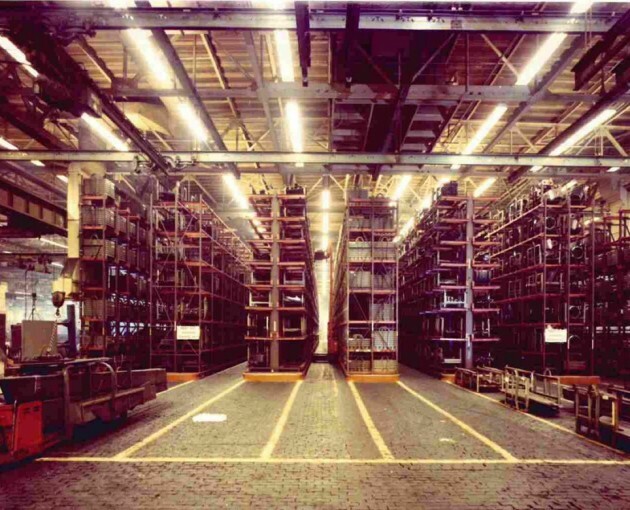 Here’s How It Works – Your fork truck positions the satellite/load into the rack at the aisle facing. When the fork truck’s mast is lowered, the load carriage automatically uncouples and travels along guide rails. Sensors indicate if carriage is full, distinguishing between the loading and unloading operations. When the satellite is uncoupled, all control operations of fork truck cease for safety purposes. For unloading, the procedure is reversed. 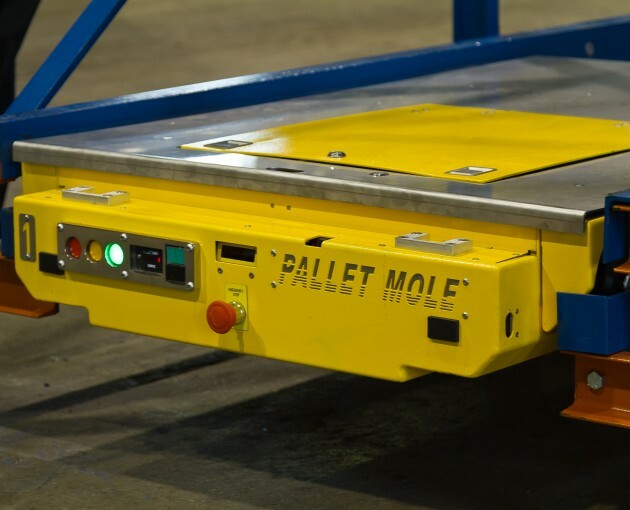 The Pallet Mole® has enabled our customers to utilize the max amount of space in high density storage situations. Ideal for both FIFO and LIFO applications, the Pallet Mole® can automatically move pallet loads forward to the pick location.